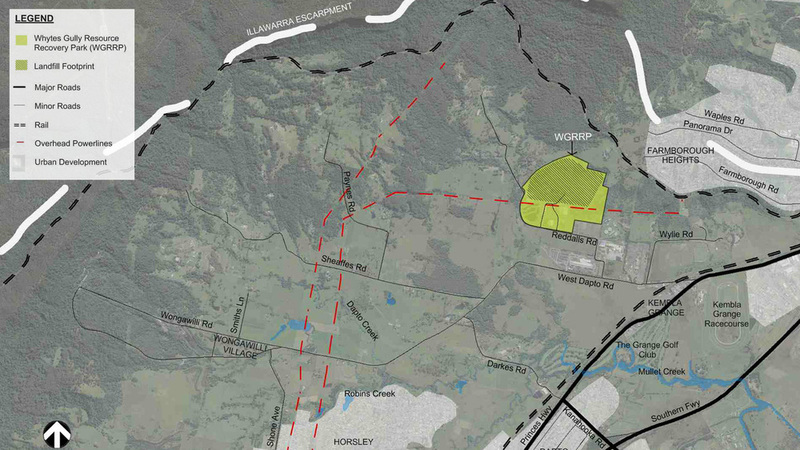 Wollongong City Council proposed to expand the Whytes Gully Landfill in order meet future demand for landfill space in the Illawarra region. 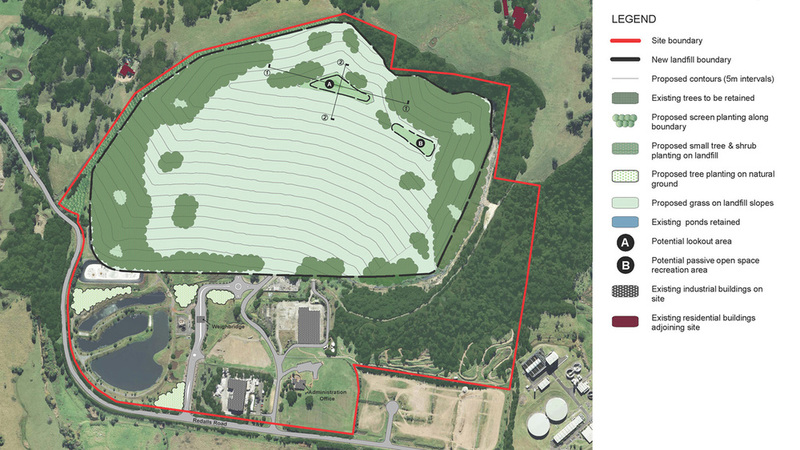 Golder Associates were engaged by Council to prepare the environmental assessment documentation for a Part 3A Application to the NSW Department of Planning. Corkery Consulting was engaged as a specialist sub-consultant to carry out a visual impact assessment of the proposed expansion work. A detailed visual analysis was carried out by an extensive site inspection which identified a number of View Situations from which the current landfill operations are either partly or fully visible. The visibility of proposed landfill operations from these View Situations was then analysed. is both robust and visually compatible with the character of surrounding areas while requiring minimum maintenance once it is established. each stage of the landfill is completed. Visual simulations were prepared using 3D data of the proposed landform to illustrate the potential visibility of the landfill expansion in relation to a number of nearby residential properties.